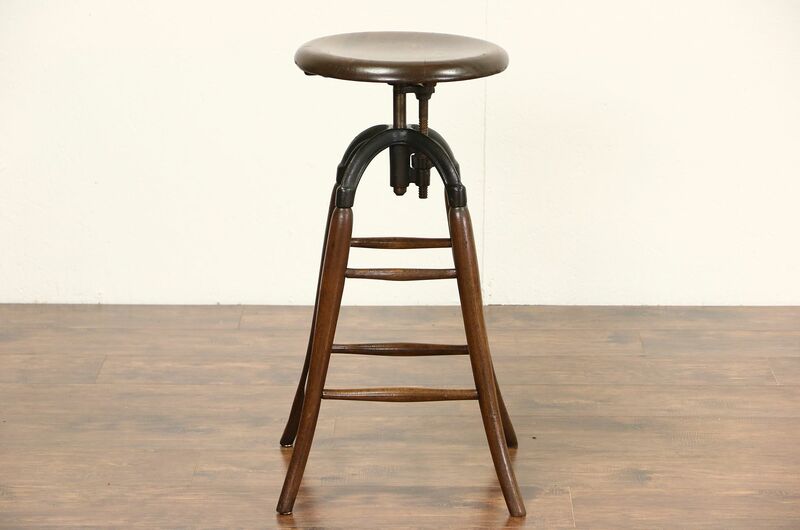 A rugged commercial grade drafting or architect stool dated 1911 was carved of solid elm hardwood. The restored finish is in excellent condition, preserving lots of mars and dings for antique character. American made antique office furniture, the frame has been reglued to serve another generation. The cast iron mechanism is adjustable and then revolves without changing the height, there is a piece missing but it works properly, see photos. Size is 15" sq at base, seat is 14" diameter, height adjusts from 28"-31" tall.